Dedicated to her grandchildren: Christopher, Gregory, Gage, Kathryn and...Cole! Marty spends most of her time at her home in Staniel Cay, Exumas, an island in the Bahamas where she nourishes her spirit. 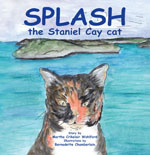 This delightful book is about Splash, born to Tootsie on the island of Staniel Cay in the Exumas, Bahamas. 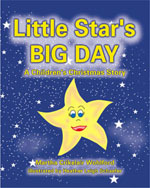 Children learn about her life on the island, her journey to Florida and then back to her NEW home on Staniel Cay. This is a book written from the heart to touch the heart.The purpose is to give support and hope to women in recovery, to dispel the fear of treatment, and to show how to deal with feelings without drinking or using drugs in everyday life situations.